Israel Sci-Tech Schools Network has unique capabilities due to the combination of our in-house Moshinsky Training, R&D Unit and our large network of schools. This allows us to develop advanced educational solutions in which theory and practice go hand-in-hand, and to examine their efficiency and feasibility, creating a continuous circle of improvement. Israel Sci-Tech Schools’ Israel first e-learning school was established in 1997. Since then we have accumulated vast knowledge, experience and expertise in developing programming and running endless e-learning sites for Junior and high schools. These e-learning courses deal with core subjects (such as Math, Mechatronics or engineering design), innovative STEM programs (like Nanotechnology and neuroscience) and 21st century skills (like financial literacy, time management or practical philosophy). In addition, we use the Google Hangouts platform and others for social values and heritage programs online. 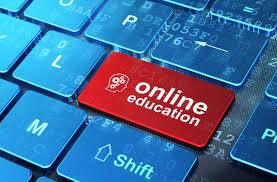 Our specialty lies in transforming educational content into interactive, visual, exciting e-learning courses. We produce reach e-learning sites that includes interaction, videos, and novel methodology. These e-learning courses are designed and programmed on various platforms such as WordPress or Moodle (a Learning Management System – LMS), and are integrated with various components, like: different ways of teacher-student communication. Furthermore, Israel Sci-Tech Schools specializes in training teachers not only in content but also in the optimized use of ICT tools in the classroom and as organizational tools. This capability allows us not only to develop programs but also to disseminate, support and supervise their implementation. Israel Sci-Tech Schools has demonstrated these capacities in International projects in the EU, Russia and the US. Over the last 5 years Israel Sci-Tech Schools partnered with Google to build capacity for 21st century digital skills and disseminate the use of technological tools in education. Israel Sci-Tech Schools’ Moshinsky R&D Unit is responsible for initiation, planning and management of projects catering to the pedagogical needs of the Israel Sci-Tech Schools education system as well as the science and technology education system in Israel as a whole. Our pedagogical projects are notable for their innovation, integrating online communication and a variety of unique teaching methodologies both in core subjects of science and technology as well as in humanistic subjects such as language, social studies and history.